Welcome to Shi Xing Hao Shaolin Kung Fu Academy. Our academy has been instructing the citizens of Houston in martial arts since 1998. 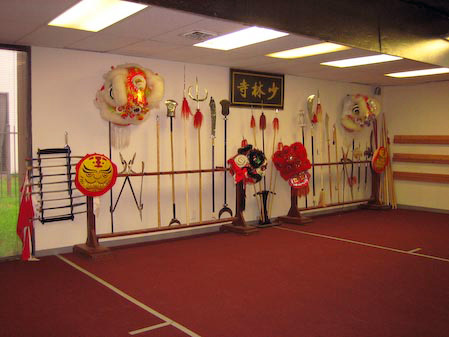 Our academy features classes in Kung Fu, Tai Chi, and Lion Dance. Whether you want to learn self-defense or if you’re just looking to get in shape, we offer a wide range of classes for both children and adults so there’s sure to be something just for you. 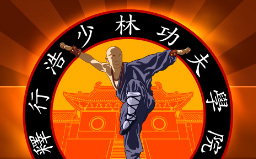 Houston Shaolin Kung Fu Academy provides a complete system of Traditional Kung Fu, including hand and weapon forms, and long fist, all of which focus on external movement, speed, and power. We also offer Traditional Chinese Tai Chi, Qi Gong, and meditation. Our training will keep the body in a state of optimal health resulting in enhanced longevity and increased levels of energy. Our goal is to have the relationship between teachers and students be one of compassion and patience that will inspire those around us. 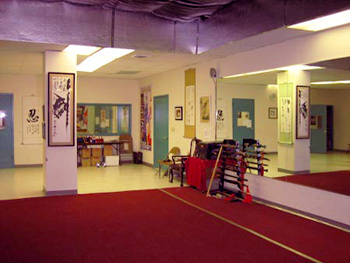 Houston Shaolin Kung Fu Academy offers classes to all ages over 4 years old. We offer a complete system of Traditional Kung Fu, including hand and weapon forms, and long fist, as well as the animal forms, which sets Shaolin Kung fu apart from all other martial arts. These include Tiger, Dragon, Praying Mantis, Monkey, and Crane, among many others. Some of the weapons we use are the Staff, Short Stick, Spear, Broadsword, 3-section Staff, and Chain Whip. We also offer Traditional Chinese Tai Chi, Qi Gong and meditation classes. There are many benefits that can be yielded by our classes. Below are some of the ways in which you and your family can be a part of Houston Shaolin Kung Fu Academy. Shaolin Kung Fu can increase your child’s confidence, courage, strength and physical flexibility. Children can also improve their ability to focus and learn about traditional Buddhist ethics and discipline, while learning how to defend themselves when in need. Most importantly, children can begin a healthy lifestyle that can continue for the rest of their lives. Kung fu helps teenagers focus on maintaining body balance and quick thinking, while at the same time keep their bodies fit. Kung fu employs the practitioner's mind, which in turn increases the confidence, patience, strength, willpower, self-discipline and focus necessary for achievement in any endeavor. There are several different kinds of traditional kung fu from which to choose. Our classes can increase the prevention of disease and strengthen bones and muscles, as well as build up many areas of the body not usually used in daily actions or regular exercises. Whether it is Kung Fu, Tai Chi, Qi Gong, or Meditation, students can enhance their internal breathing and develop their body without distress or injury. In addition, many students with a pre-existing injury have found relief that was unavailable to them through conventional treatments. With proper training anyone can develop these mental and physical qualities regardless of background, age, or current physical ability.